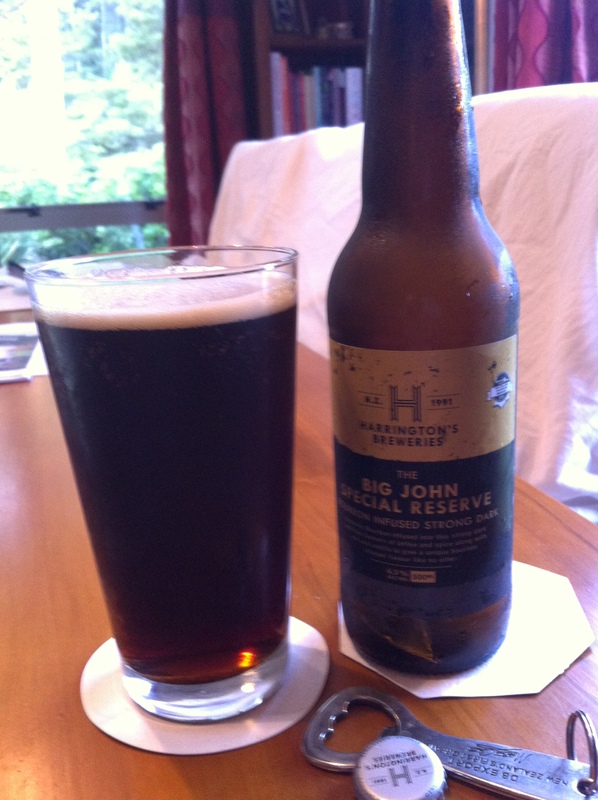 Next then, Harringtons Big John Special Reserve. Brewed especially for connoisseurs. Conditioned in oak bourbon barrels for one year. 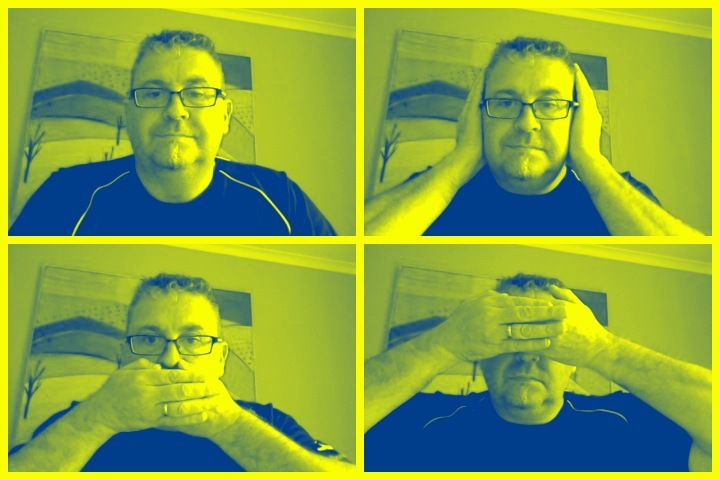 Saved for last, the last dance, the last count, and the last dance. This is a 500ml bottle, 6.5% ABV, 195 calories a serve size and 2.56 standard drink units. It has its own unique flavour and has won enough medals to sink a ship! Big John Special Reserve is a must try for dark beer lovers. Big John Special Reserve has Kentucky Bourbon infused into this strong dark with the flavours of roasted malts along with the oak and bourbon to give it’s unique roasted flavour a difference. Pours golden brown and orange with a lacing white head. Mild spiced and breadish aroma. Roasted malt and mild breadish flavour. Light butterish note too. Mild spice note to a dry malt base into a light bodied finish. What could possibly go wrong? Despite not being able to find it on the brewers website? I saved this for last, hoping it would be the best, the Classy Red was great, I was hoping this would be as good. It carries the bosses name it should be. Wow that’s a roasted malt aroma that portends well. Deep chocolate too, Rich. I might have done good leaving this to last. Pour is deep brown like mahogany but I didn’t pay attention and then I didn’t get a head, I blame me for that. Aroma in the glass is still that lovely chocolate roasted burnt thing, and also fruity. Colour me surprised this is a really genuinely good beer, with lots of all the good things. Pleasant aroma, lovely top of tongue bitterness, fantastic melange of flavours over the tongue and then a soft and gentle finish. Like the classy red then this is a bit good. I know already that I want another and would be happy to sit in the pub and get to a happy place on this. Discernible amount of hops, and then a crashing amount of toasted malts, I don’t drink the Bourbon so I have no idea, but I can tell you the fruity over-layer fits really well, and is a welcome taste. The bitterness is really comfortable to, enough to remind and not so much that it is the thing. Clever stuff. What this really has going for it though is that yo get all that good stuff without the big big ABV that could knock you out of your chair, and you might be challenged to find an equal. Well not really, but this is an exceptional find after a few disappointments. Also plus if you were going to make a dash at Porters or Darker beers this would be a great leap off. The pdubyah-o-meter rates this as 9 a of its things from the thing. I’m quite enthusiastic about this. A beer with a big aroma of fruits that presages the wash of the enjoyably bitter beer and the three or four things going on and then leaves gently and without fuss. Come again. It’s just good. Would I have another? I might send MrsDubyah out in the night to get me one. Won’t happen, but it might. Would I share with a friend on a porch and set the world to rights? I would bring two because this is something unusual a full flavoured, fully interactive beer that isn’t going to make you do the strange leg walking thing at the end of the night, you know the wavy straight line, both shoulders hitting the hallway walls in a straight line walk, you know the one…. Note: I was provided this beer by the brewer to try and review, without catches, this is 1 of 12 should you wonder about the sudden love of a brewer out of the blue. Wonder why I can’t find a link or clip? you could try here if you wanted to play the clips. You know you’re going to. Scotch Ale was the name given to a strong pale ale from Edinburgh in the 19th century. This was typical of the strong pale ales brewed in Britain at that time – mainly pale barley malt and moderate hopping, and were not that stylistically different to English Strong Ales or Barley Wines. The name however became regionalised so that a strong pale ale from Scotland became known as a Scotch Ale or Wee Heavy. Beers using the designation Scotch Ale are popular in the USA where most examples are brewed locally. Examples of beers brewed in the USA under the name Wee Heavy tend to be 7% abv and higher, while Scottish brewed examples, such as Belhavens Wee Heavy, are typically between 5.5% and 6.5% abv. 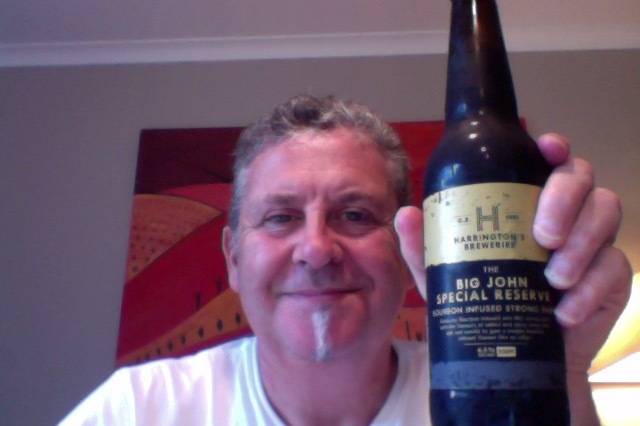 This entry was posted on March 29, 2015 by Philip Walter in Beer, Beer of New Zealand, Beer Review, Craft Beer, Critic, Harrington's, Scotch Ale and tagged Alcohol by volume, Beer, Big John Special Reserve, Christchurch, craft beer, Harrington's Big John Special Reserve, Harringtons Brewery, scotch ale.